“Lobster Claw on the Lily Pond” created with oils on metal. The ultimate goals of this project are twofold. 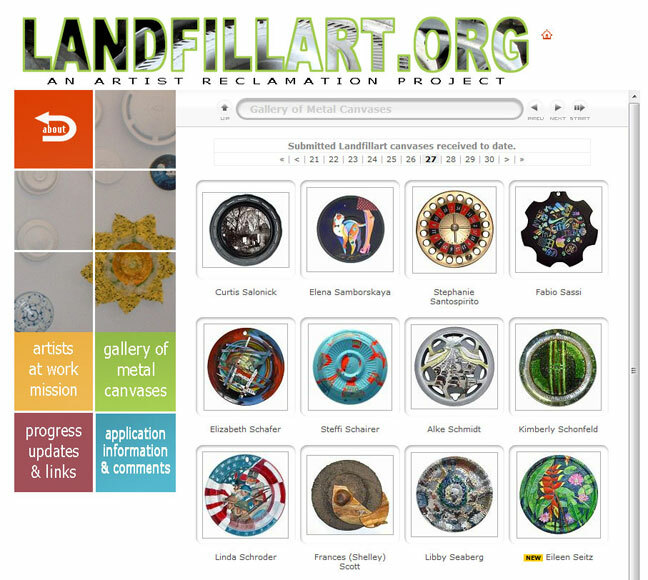 The first is to compile a book with the story and photos of the evolution of landfillart.org and the coming together of 1041 artists for a common cause, making great art out of rusted refuse. Only artists could lead such a charge. 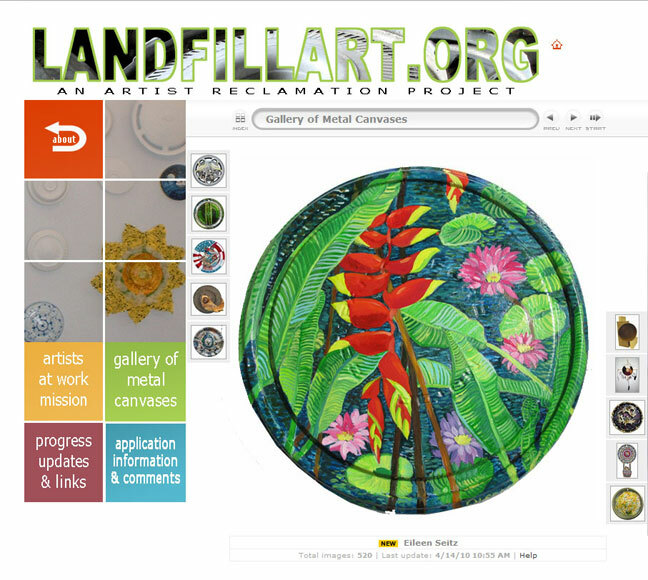 The other goal is to select 200 of these metal canvases to travel and inspire other such movements.